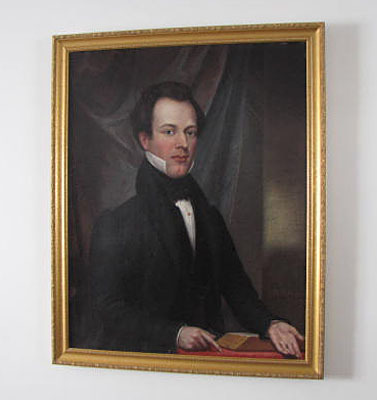 Oil on canvas portrait painting of very handsome blue eyed gentleman, signed R. Street 1832, sitter is unknown. 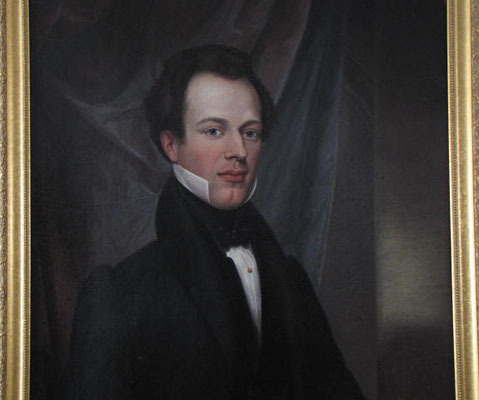 Robert Street (1796-1865) was a Pennsylvania artist highly respected and popular portraitist of his time born 1796 Germantown, Pennsylvania. 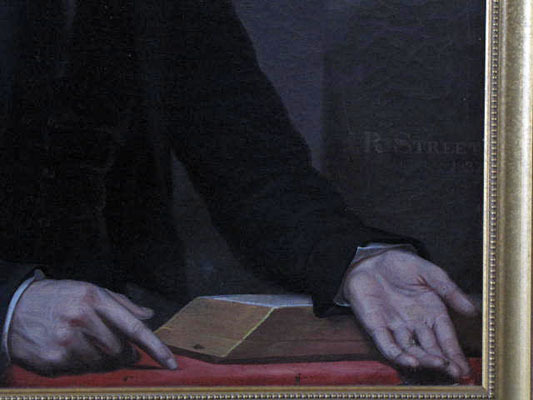 Many of his works were exhibited at the Pennsylvania Academy, also in Washington, D.C. where a portrait he painted of Andrew Jackson hung in the White House (1824). His works were also shown in Philadelphia, and New York City. His characteristic portraits have clarity and usually show men in dark coats and women in bright abstractly rendered clothing. This fine portrait measures framed size 39 ¾" x 32", sight size 35 ½" x 28".